Do you like Pen an Apple? Share it with your friends. 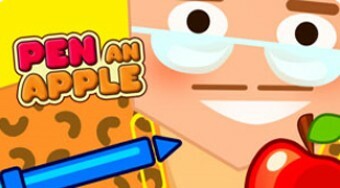 Pen an Apple is a very catchy perception game in which your task will be to penetrate with a pen in the various kinds of fruit that move your hand over the playing surface. As soon as you fail, the game ends. Buy new pens as well as fashion accessories for a lazy guy.